We help a lot of clients set up trusts with a goal of avoiding probate. We also help many family members administer trusts after their loved ones pass away. The majority of the trusts we set up are revocable living trusts where the client is the trustee while she’s living and able, which gives her complete control over the trust and its assets. In the trust the client will also designate a successor trustee to serve as trustee when something happens to her. Once the client passes away the successor trustee can wrap up the decedent’s affairs pretty quickly and easily, without the necessity of a court probate proceeding. Clients often worry about naming one of their children as successor trustee over the other—they worry that the other children will be offended that they weren’t picked or that the child picked to be trustee will have too much power over what happens to his sibling’s inheritance. 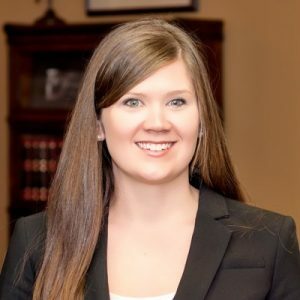 The trustee position, however, is a job and the trustee must act in accordance with the terms of the trust and Arkansas law or risk being sued for breach of duty by the other people named in the trust. Thus, it’s important for the trustee to make sure that the wishes of the decedent are carried out as specified in the trust. Once you take over the role of trustee there are steps that need to be taken to administer the trust. You’ll need to find out what assets the decedent owned at the time of her death and how the assets were titled. Anything that was owned in the name of the trust will need to be distributed as the decedent specified in her trust. You’ll also need to get a copy of all estate planning documents the decedent had—mainly the trust and a last will and testament, if she had one. You’ll need to look to the trust to see who receives what and how they receive it. For instance, the trust may specify that the beneficiaries—the people who receive property from the trust—receive the assets in trust themselves, and you’ll need to look to the terms of the trust to see how and when those distributions can be made. In addition to the trustee’s duties that are set out in the trust, Arkansas law gives requirements for the trustee. One requirement is to keep the beneficiaries informed about the trust. For example, the trustee must notify the trust beneficiaries that he has accepted the role and provide his contact information within 60 days of accepting the trustee role. In addition, the trustee has 60 days to notify the beneficiaries that the trust exists, the identity of the person who created the trust, and inform them of the right to request a copy of the trust, a trustee’s report, and any change in the method or rate of the trustee’s compensation. So, if you take over the role of trustee it’s important to make sure you understand what your responsibilities are and that you properly distribute the decedent’s assets as she specified in her trust.